JV Guan - original and stylish template from the design studio ZooTemplate, which is perfect for creating a website. Professional design pattern is presented in four color themes (blue, green, gray and purple) with a choice of beautiful background images. Having a useful club extensions and complex layout optimization SEO is the best choice when creating a quality website. Flexible set of template functions can assess each user who visited the site. 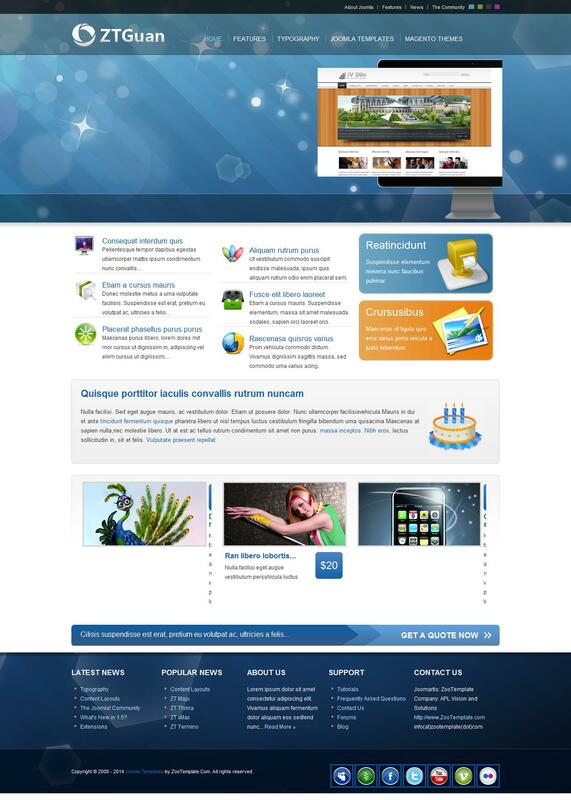 This template is the best offer for high-quality websites with the ability to demonstrate information. The archive is packed template, Quickstart, and PSD source.